The Supersonic skin bundle in the Fortnite Item Shop features a Back Bling that displays your kill count! The Supersonic Outfit has hit the Item Shop in Fortnite, giving players an opportunity to freshen up and get a new look. This new Fortnite skin features more than just a sleek design, as it comes with a rather boastful type of Back Bling. The Supersonic Outfit is an all-black aircraft fighter suit, which is perfect given the recent Fortnite update. Featuring a white skull painted on the face and negative-background skull on the thigh, the Supersonic skin is sure to strike fear into the heart of your opponents. 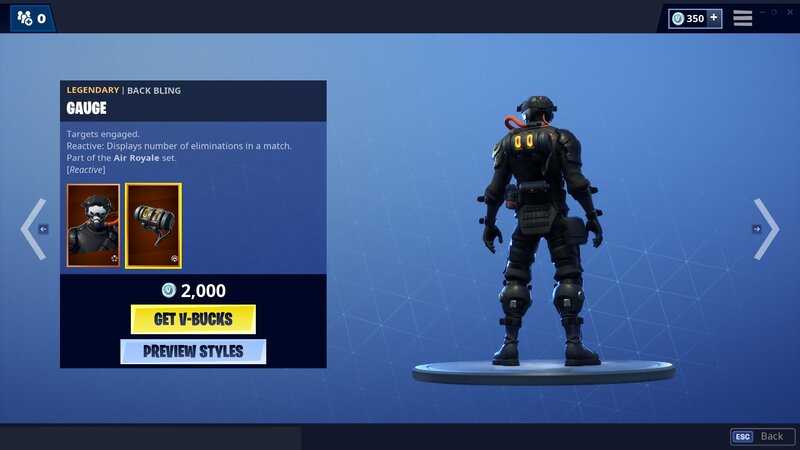 However, the real selling point is the Back Bling. Called the Gauge, this piece of extravagant and boastful Back Bling features an LED counter that tracks your eliminations in real-time. Even as you’re fleeing from a fight, the enemy will be able to see the amount of kills you’ve managed to rack up so far in the match. The Gauge Back Bling tracks your kills! 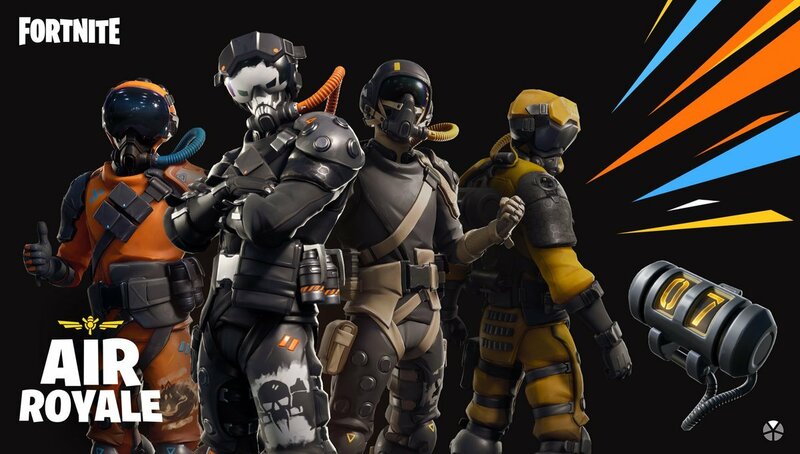 Epic Games is continuing the trend of including various styles with new outfits. As Donovan covered at the start of April, the Whiteout and Overtaker outfits received new styles, allowing players extra customization options. The Supersonic skin features four different styles, including the base version. Players can find an orange colored suit with a more bulbous visor, a yellow and more angular version of the skin, and another black version, albeit this one features brown highlights and a more traditional fighter pilot helmet and mask. As mentioned above, this skin comes just in time for update 8.40. This latest Fortnite update introduces a new limited time mode called Air Royale. In this mode, you and a friend must take to the skies in the X-4 Stormwing and be the last team flying. With only three lives to spare, you will need to do your best dogfighting to last to the final moments. Hopefully the Supersonic skin will give you a bit of good luck and see you net that sweet victory royale. The Supersonic skin is currently on sale for 2,000 V-bucks. Get it now before it leaves the Fortnite Item Shop for good!